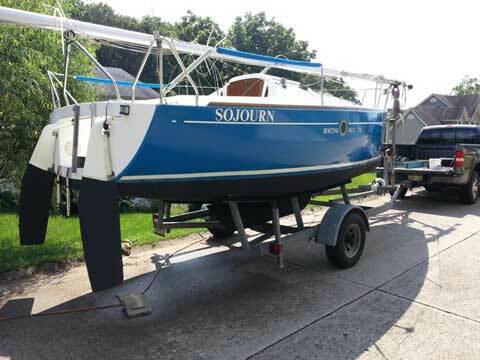 I have decided to sell my excellent Beneteau F210, Group Finot designed cruiser/racer, "Sojourn". This boat is fast around the marks and is comfortable for over nights. 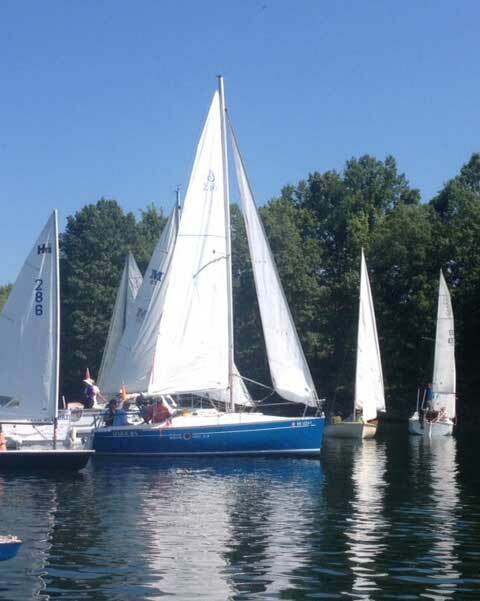 We use her to compete in our local club races and have hauled to distant lakes and the east coast for family vacations. She is quick to set up and break down with its OEM mast stepping system. She is real head turner, truly a beautiful boat. 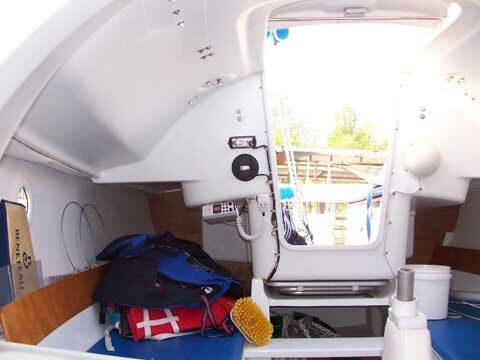 When trailered, this boat can be setup or taken down in little more than an hour. 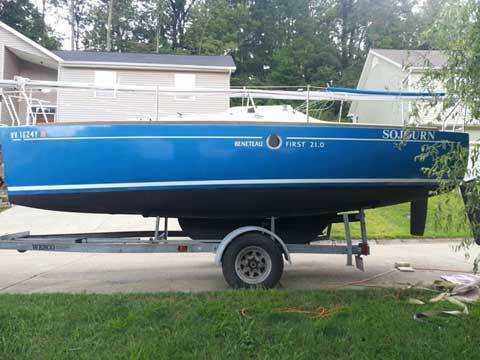 A rare boat with less than 200 in the US built from 93 to 97. Beneteau makes its sister "First 20" available this year, a very similar boat for a lot more money. Contact me for more pictures. 21.0 LOA, 19' 8" Waterline, 8' 2" maximum beam, 2200 lb displacement, 243 sq. ft sail area, 700 pound swing keel, positive floatation. New North Sails Furling jib with CDI roller furler. Reconditioned 2013 Doyle main sail in good condition. Fitted for spinnaker, including spinnaker pole, but no spinnaker. All lines led aft to the cockpit for control. Color coordinated Life line cushions, main sail cover, and tiller cover. Custom bottomsider style cockpit cushions. Custom folding table for use in the cabin or the cockpit that stows in a slot under the cockpit. Roomy cabin with forward V berth and side berths. Powered by Honda 4-cycle, 8hp manual start outboard with alternator wired to charge battery. New Battery. Marine radio and depth sounder. Aluminum danforth style anchor with vinyl covered chain and nylon road. Fenders, life jackets, dock lines. Speed log works but transducer needs wheel repaired. Wesco galvanized trailer with telescoping tongue, and spare. Meticulously maintained and detailed documentation on repairs. All original manuals and documents for most features. All bright work striped and refinished including companionway door, 2013. Hull compounded and waxed 2013. Bottom sanded and painted Spring 2013. Replaced CDI Halyard top fitting, 2012. Both Rudders blades have been stripped and sealed with epoxy and repainted below the water line, 2012. Fiberglass and gel coat repair with OEM gelcoat in 2012 from damage to hull above water line during Hurricane Irene. All damage and repair is fully documented. Mast base blocks, (2 of 4) replaced 2012. Mast Base foot replaced and mast base reinforced 2012. Keel lift mechanism replaced 2008.